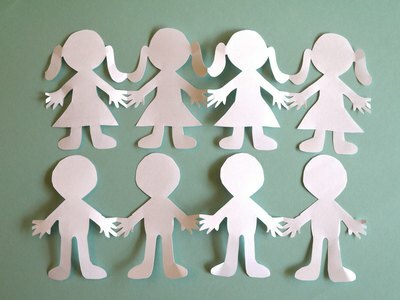 If you've got scissors, paper and a pencil, making paper people cut outs is as easy as fold, draw and cut. Have fun experimenting with various silhouettes, sizes and paper color. 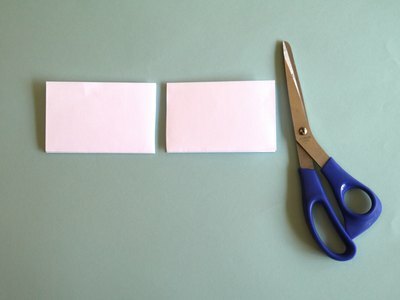 Start by folding a piece of paper horizontally in half so the seam is at the bottom. 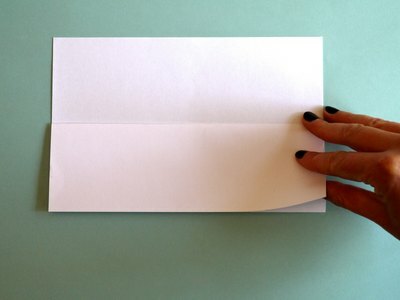 Take the top half of the paper and fold it down so the top edge meets the bottom seam. 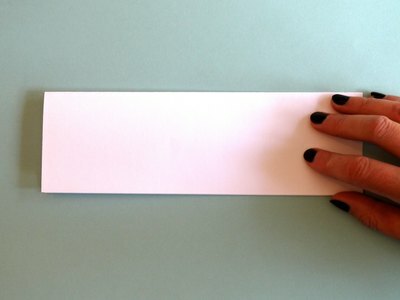 Leave the bottom half of paper unfolded. 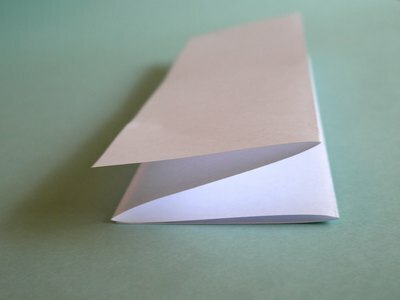 Flip entire paper over and fold the remaining half of the paper down so the top edge meets the bottom seam, just like you did in step 2. The entire piece should be in a horizontal accordion fold when finished. 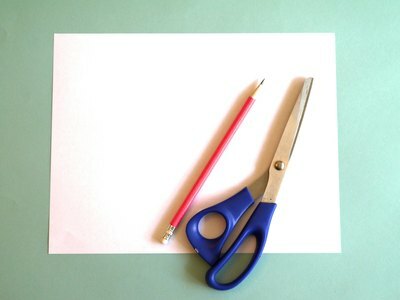 Snip the accordion-folded paper strip in half with scissors. 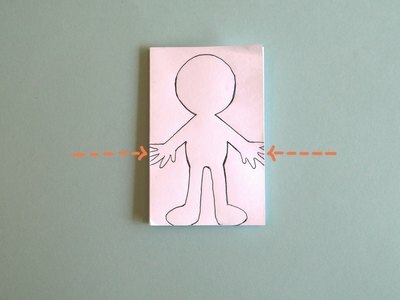 On one of the paper halves, draw a simple doll silhouette using a pencil. 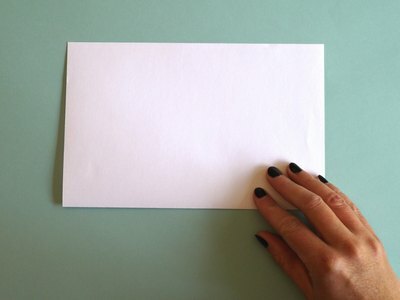 Fill up the entire surface making sure the edges of the hands touch the edges of the paper. This is so your dolls will link together when cut. Tip: You can crop and print this photo so the doll measures 2 3/4-by-4 1/4 inches. Cut the doll out and use as a template. 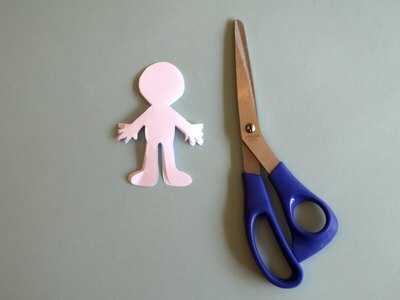 Using scissors, carefully cut out the doll silhouette, making sure the hands stay intact with the edges of the paper. On the remaining paper strip, draw another silhouette and cut out, keeping the doll's hands intact at the edges. Unfold both paper strips to reveal two chains of paper people.